Penn Cinema is pleased to announce the opening of their third location which will be in The Marketplace at Huntingdon Valley. 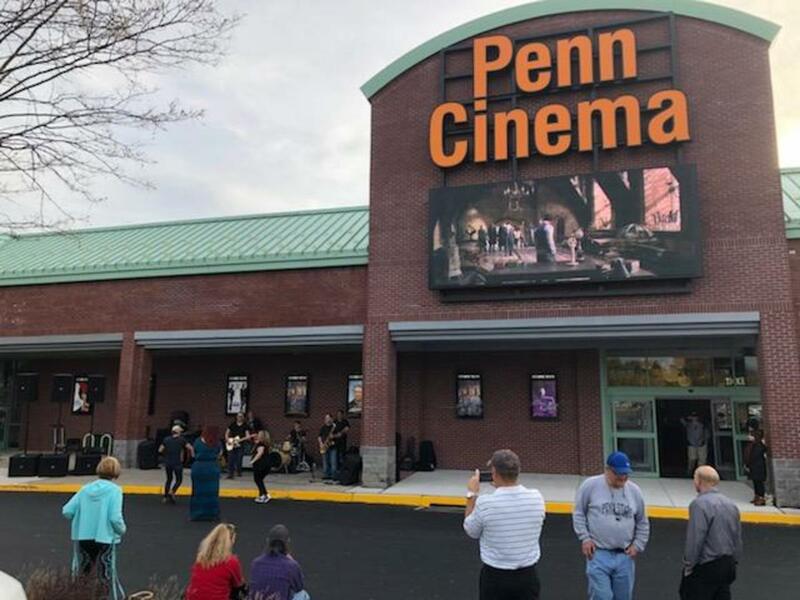 Penn Cinema has two locations, one in Wilmington, Delaware and their original location in Lancaster County (Lititz, PA). Penn Cinema is an independently owned theater company, family owned and operated since 2006. Penn Cinema Huntingdon Valley is a seven screen First Run theater featuring all luxury power recliners, digital projection systems and killer sound. The Concessions Stand features delicious fresh made pizzas than you can bring to your seat with your other traditional movie treats and a full blown Bar is “Coming Soon”. The complex has just over 600 total seats. The Penn Cinema Team has been having fun this week with our newest staff members going over important details like how to keep the lobby spotless, how to provide world class customer service and just exactly how to make the best large popcorn (we like to layer the butter!). Most of the new staff are local high school students and they have all gotten off to a good start with their training this week. The Penn Cinema Staff will officially open the building on Thursday afternoon with a 4:00pm Ribbon Cutting (doors will be open to the public at 3:00pm) followed by the below noted screenings. The noted screenings are “Test-Run for Charity” screenings so all tickets are just $5.00 and 100% of the $5.00 goes to support our friends at NICOLE’S PLACE AT LAUREL HOUSE which is located adjacent to the new theater. The first official showtime will be the 6:00pm show of THE NUTCRACKER AND THE FOUR REALMS which is Disney’s newest animated family adventure. Rated PG. The biggest movie this week, however, will be BOHEMIAN RHAPSODY (PG-13) which will play at multiple times noted below with the first show at 7:00pm. We are also playing NOBODY’S FOOL (Rated R) which stars the A-list comedian/actress, Tiffany Haddish. In 1993, The Marketplace opened a new movie theater and the big new movie they played after the flying Elvis&apos;s landed was a new movie about a dinosaur amusement park. Jurassic Park would go on to be one of the biggest movies and franchises in movie history. With a nod to our friends at The Marketplace, our very first movie will be JURASSIC PARK (1993) at 4:00pm. HALLOWEEN (2018) (Horror, Rated R) at 6:30pm, 8:00pm and 10:00pm. On Friday, November 2nd we will begin full time operations with our first movies kicking off at 11:00am.